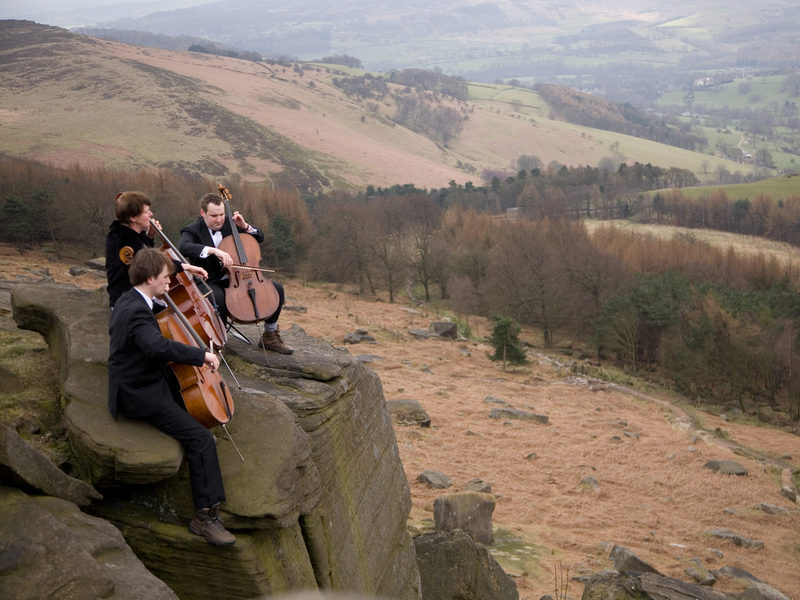 Shown below are two video clips of the Extreme Cellists - one of us playing at the summit of Ben Nevis in the 2008 (part of the Four Peaks Challenge), and one of us being interviewed and playing live on BBC1 before the London Marathon in 2012. A lower quality video of us playing halfway up Snowdon, also on the Four Peaks Challenge is available here. There are two BBC news reports of our trip up Scafell Pike on the same challenge: one by BBC North West, and one by BBC Look North. 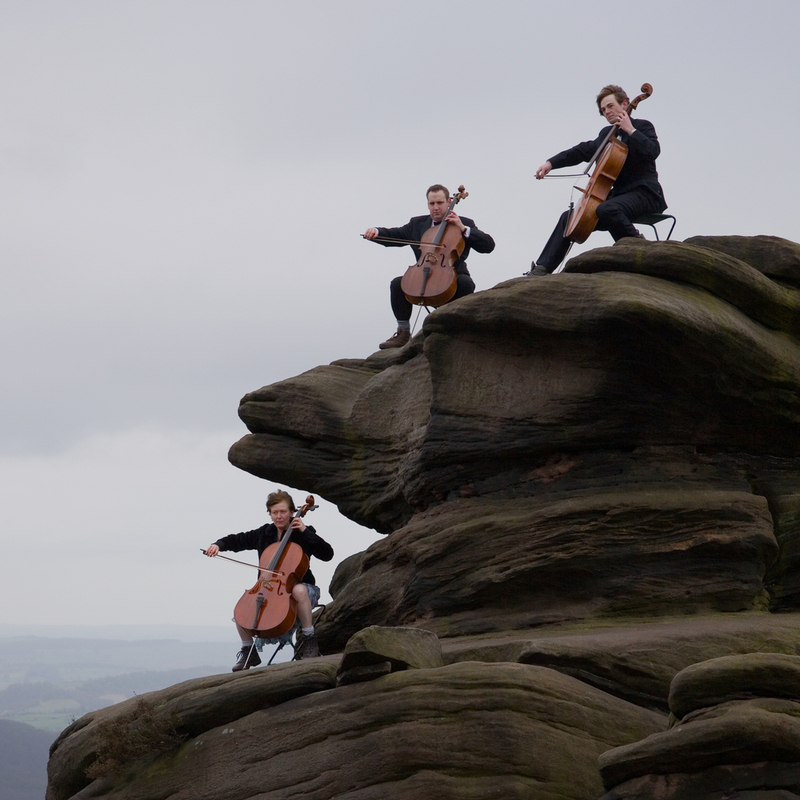 There are some photographs of the Extreme Cellists throughout the site; below are eight that were not associated with any particular challenge, but that we particularly like. 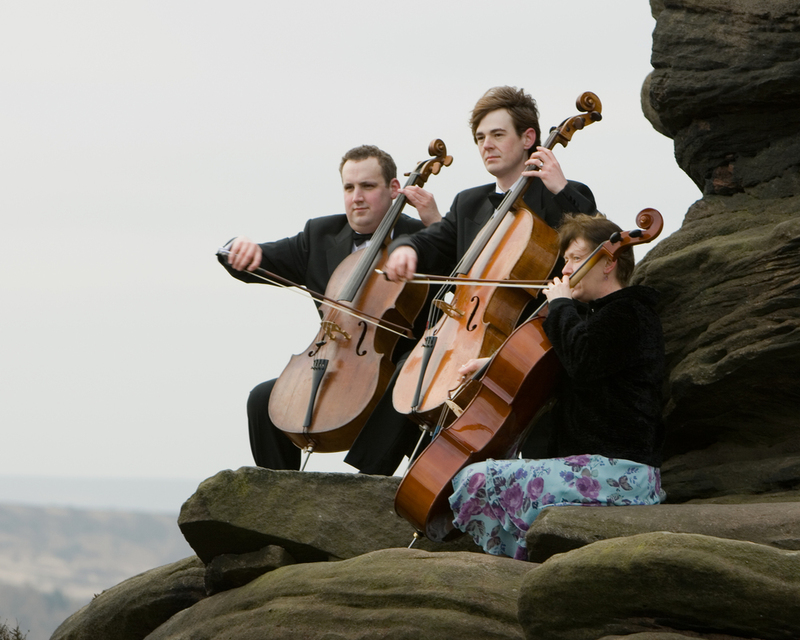 Photographs may only be reproduced with the permission of the Extreme Cellists - to contact us click here. The first six of these photos are © www.davidshapirophotography.com. We will post any relevant media releases here when the time is appropriate.